2017: Made 38 appearances for Republic FC in all competitions, playing a team-leading 3,443 minutes on the season ... Appeared in 31 USL matches, all starts ... Scored two goals and added an assist on the season ... Started and played all 2017 USL Cup Playoff minutes ... Was one of two Republic FC players to play more then 2,500 minutes in USL play and one of three Republic FC players to play more then 3,000 minutes in all competitions. 2016: Signed with the Tampa Bay Rowdies … Did not appear in a match for Tampa Bay ... 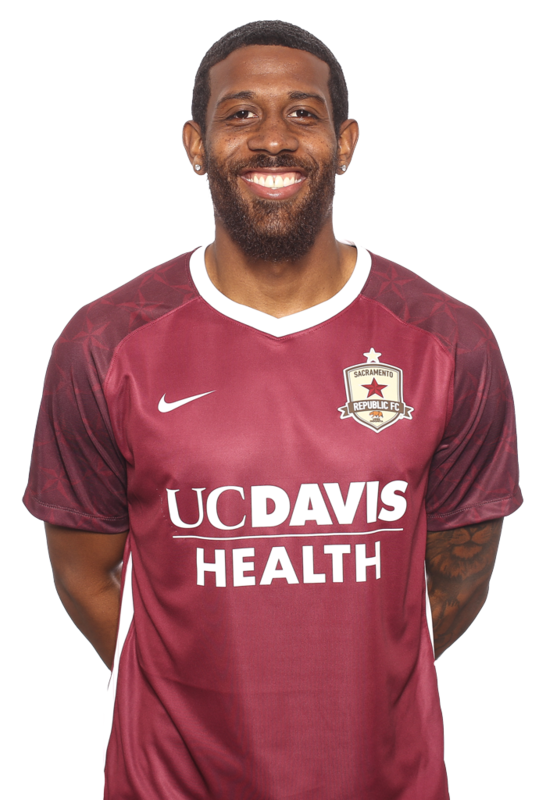 Loaned to Sacramento Republic FC on July 20 … Made 11 USL appearances for Republic FC, all starts ... Started and played 99 minutes in Republic FC's lone playoff match. 2015: Joined New England Revolution … Appeared in 12 matches for New England, including 11 starts … Played 998 total minutes. 2014: Appeared in three matches for Toronto FC, including two starts in his third season with Toronto FC … Transferred to Wilmington Hammerheads FC on 7/11 … Made three appearances (all starts) for Wilmington, playing 270 minutes. 2013: Appeared in a career-high 31 matches for Toronto FC, including 26 starts in his second season with Toronto FC … Scored a goal and added an assist in a career-high 2,280 minutes. 2012: Made 23 appearances, including 19 starts in his first season with Toronto FC after being traded from FC Dallas in November 2011 … Scored a goal in 1,708 minutes. 2011: Began the season with the Portland Timbers after being traded from the New York Red Bulls … Appeared in 17 matches, all starts, recording a career-high three assists in 1,424 minutes … Was traded to FC Dallas … Appeared in four matches, starting two, for FC Dallas. 2010: Appeared in 13 matches, including nine starts in his second season with the New York Red Bulls … Recored an assist in 895 minutes. 2009: Was drafted 11th overall by the New York Red Bulls in the 2009 MLS SuperDraft … Appeared in 24 matches, including 22 starts in his rookie season … Recorded an assist in 2,001 minutes. 2006-2008: Appeared in 66 matches for the University of Maryland … Scored 26 goals and added 14 assists. Son of Eustace and Albea Hall … one of three children with brothers Joseph and Nicholas.